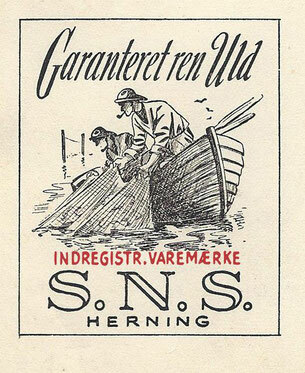 The registered trademark S. N. S. HERNING was founded in 1931 by Søren Nielsen Skyt (1899-1972) in Herning, Denmark. As a young man, he made a living by selling knitted garments of his own making. 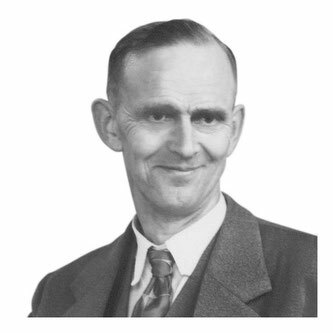 In the mid 1920's, he learned about a technique of knitting with "bobble" patterns that increased the insulating abilities of garments. Relying on these techniques, he began manufacturing the so-called FISHERMAN sweater, which was intended to protect its wearer from the rough weather at sea, and to be robust enough to withstand the wear and tear from the hard work. All our FISHERMAN sweaters are still being knitted at our knitting factory in Herning - after the same recipe as that of Søren Nielsen Skyt - with strict rules for the layout of the bobble pattern, the cut, the measurements, and the ﬁnishing etc. Something about the design and feel of this garment makes us shy away from making even the slightest of changes to it. Eighty five years have passed since the release of our ﬁrst FISHERMAN sweater. Even if the production has had its highs and lows, we never stopped knitting it. The FISHERMAN sweater remains at the core of our entire design DNA - and we are proud to celebrate its 85-years anniversary this year. More knits have naturally been added to our repertoire over time - but they all relate more or less directly to our original knit in terms of functionality, aesthetic, underlying technique, texturing, or simply that hard to describe feel. All knits can be thought of as members of a family - sharing the same forefather - but still very much wanting to be originals themselves.